Compared to the BT-014 it will progressively replace, the new BT-016 provides total handling improvement in all riding modes – with noticeably better contact feel, feedback, stability and grip – as well as longer wear life and lower noise levels. 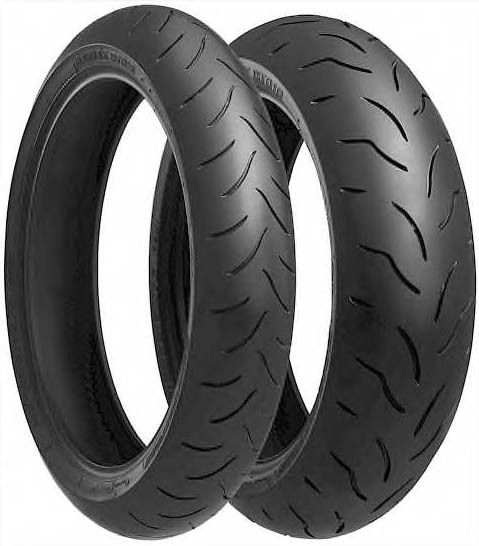 Bridgestone has combined its top MotoGP construction technology with its latest multi-compound technology from SACT Straight And Cornering Technology to produce a sport tire that gives high-level grip performance in braking, cornering and acceleration. The BT-016 front tire has a new 3-Layer Compound 3LC : a center compound for linear handling and longer wear life, flanked by a shoulder compound to secure high grip and a strong contact feeling. The rear BT-016 tire features Bridgestone’s new 5-Layer Compound 5LC technology, used for the first time on a street tire. The center compound gives good stability and higher mileage; the shoulder compound transfers the engine power to the road with strong traction; while the edge compound provides strong side grip and a massive contact feeling at deep lean angles. The line holding feels almost like riding on a rail. Front and rear construction is based on Bridgestone’s proven HTSPC platform High Tensile Super Penetrated Cord with steel MSB Mono Spiral Belt . This one-piece construction enhances slide controllability and line-holding through corners, while providing good shock absorption. The increased compression stiffness it produces helps to maintain a uniform contact patch and stability at high speeds.